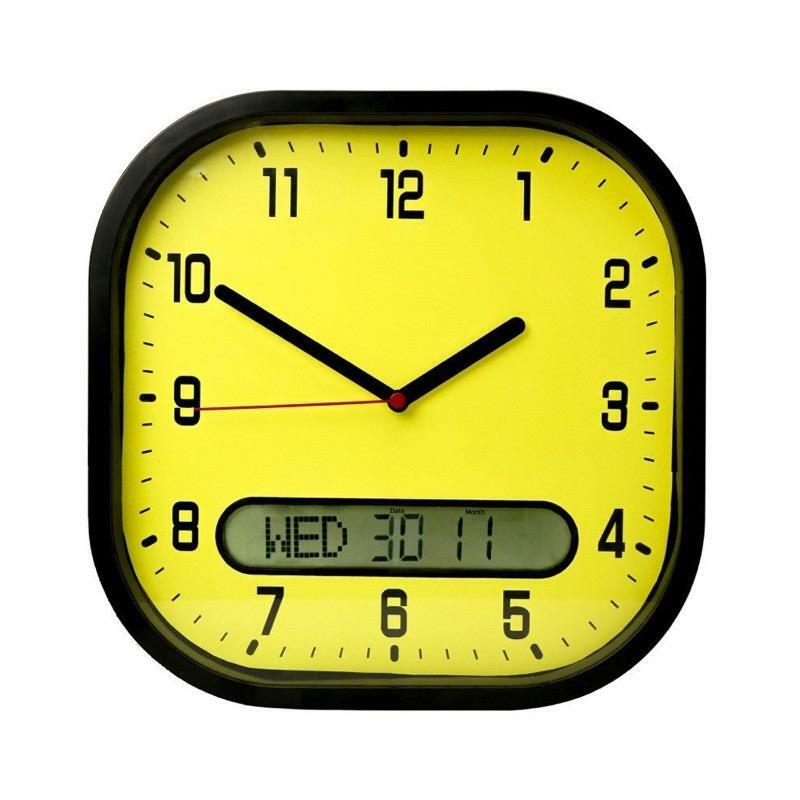 This Wall Clock has a simple clear analogue display for the time with the addition of a digital day and date display. This Wall Clock has a simple clear analogue display for the time with the addition of a digital day and date display. It is very simple to set up and has a quarttz movement to keep very accurate time. Uses 1 x AA and 2 x AAA batteries (not supplied).